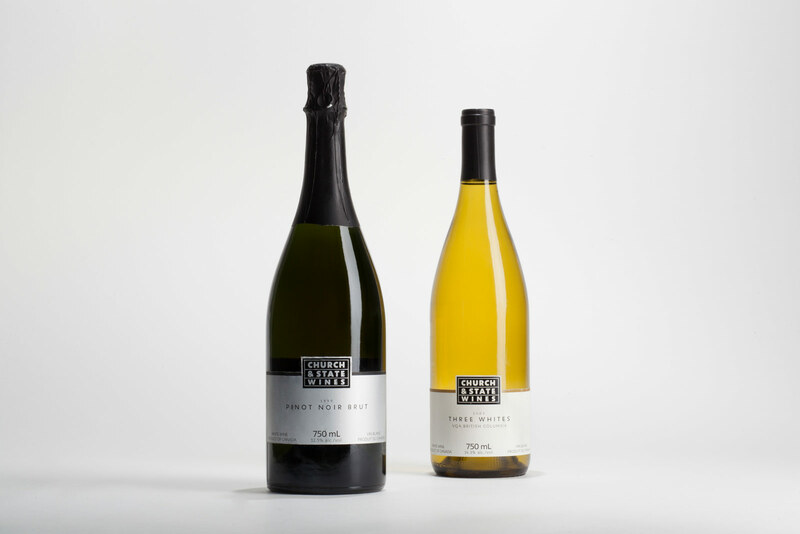 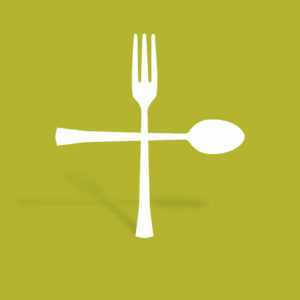 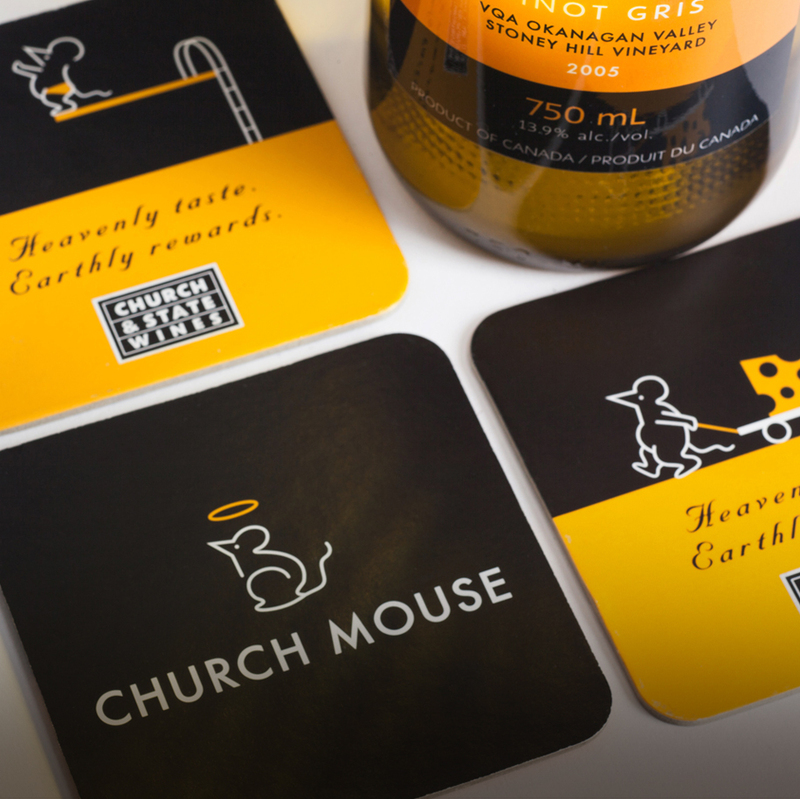 Eclipse worked closely with Church & State winery to establish their brand. 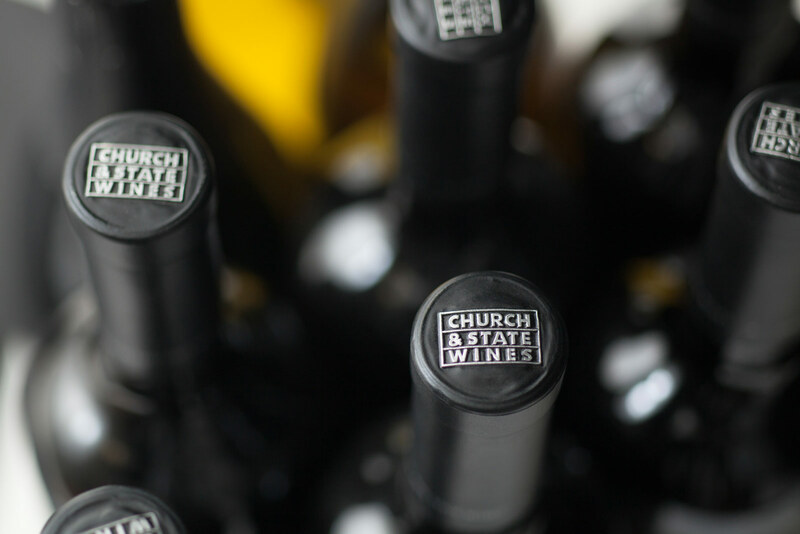 From identity and tagline development to exterior signage, packaging and website design, we delivered a comprehensive and arresting brand that allowed Church and State to stand out in the very crowded winery landscape. 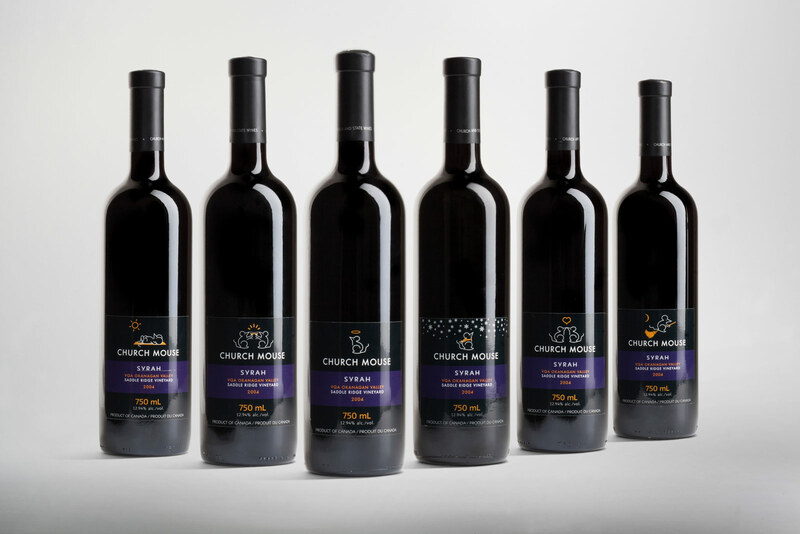 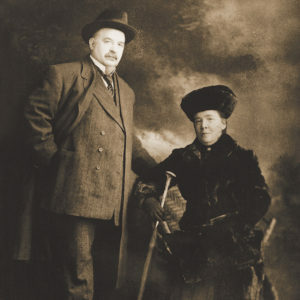 The Church Mouse brand was developed as a sub-brand of Church & State Wines and was not to be sold at the premium level. 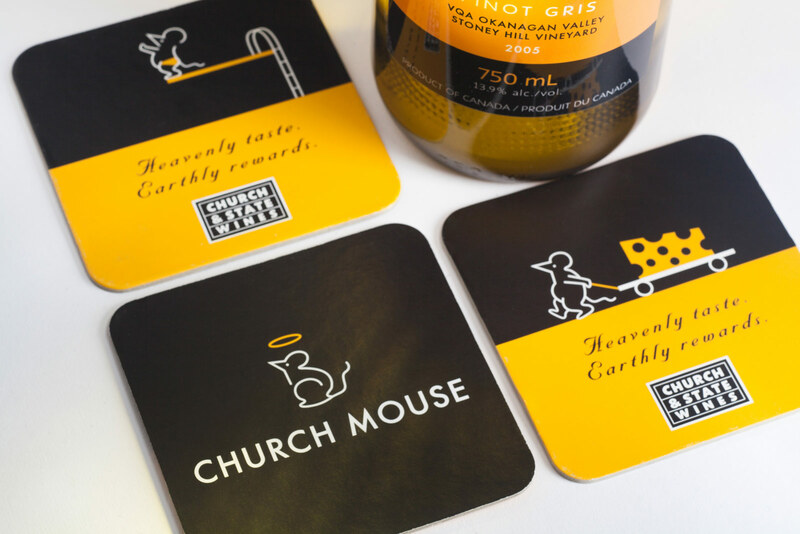 As a play on the Church and State theme it is meant to be fun and whimsical with 12 different illustrative bottle designs.